← I should be so lucky…Kit Kats? Engrish of the Week! Happy Friday! I told him that when you move into a new house, it’s cold and lonely, so friends come to have fun and metaphorically “warm it up.” Maybe you had to be there, but it was a pretty amusing conversation. My coworkers have been really great about teaching me Japanese and trying to learn English, so there’s always something new to talk about! 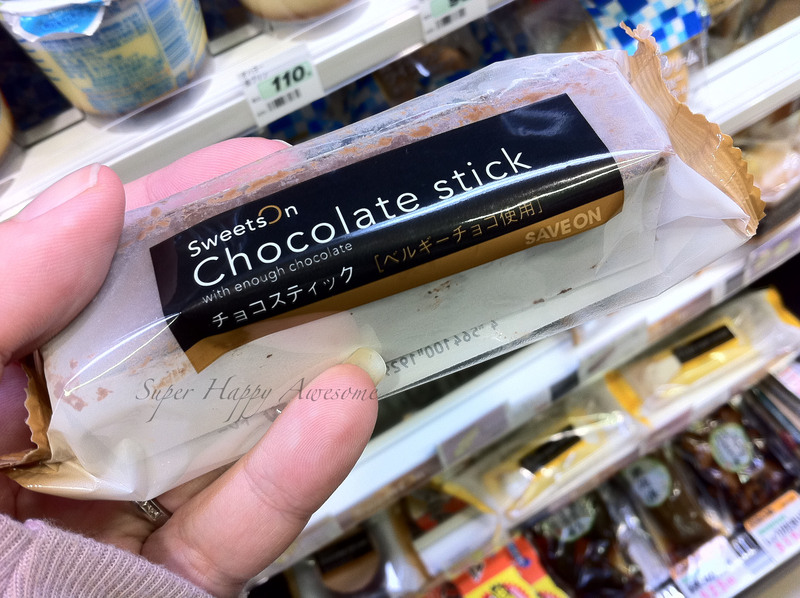 This entry was posted in Engrish and tagged cake, chocolate, chocolate stick, combini, engrish, sweet. Bookmark the permalink. 11 Responses to Engrish of the Week! Happy Friday! I want to know their standards of “enough”. Maybe we differ!! Right? Is there ever enough chocolate? Agreed. I’m not quite sure how hating chocolate is possible, but at least that means that there is more left for me! One of my students hates chocolate, in fact, and I was trying to convince him to give me his Valentine’s Day loot. Maybe next year! That’s a good one. Did you buy it? Wondering now if it’s any good.